2. Camp Greenbrier Military Band, Alderson, W. Va.
Camp Greenbrier Military Band, Alderson, W. Va.
Camp Greenbrier Military Band marching in the July, 4th parade on Railroad Avenue, Alderson, W. Va.
3. Camp Greenbrier Corps of Cadets, Alderson, W. Va.
Camp Greenbrier Corps of Cadets, Alderson, W. Va.
4. 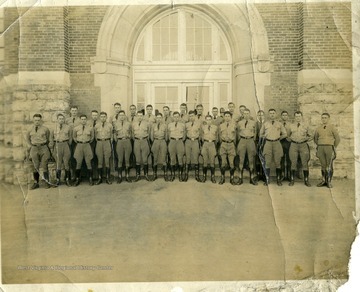 Faculty Members, Greenbrier Military School, Lewisburg, W. Va. 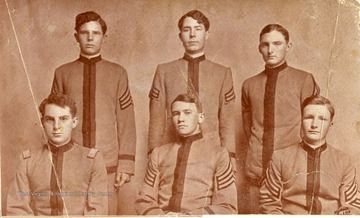 Faculty Members, Greenbrier Military School, Lewisburg, W. Va. 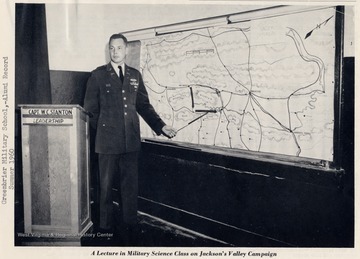 Ten pictures of Faculty Members of the Greenbrier Military School in Lewisburg, West Virginia. 5. 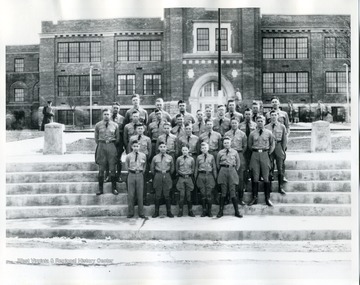 Greenbrier Military School Cadets, Lewisburg, W. Va.
Greenbrier Military School Cadets, Lewisburg, W. Va.
Five cadets from the Greenbrier Military School in Lewisburg, West Virginia. 6. 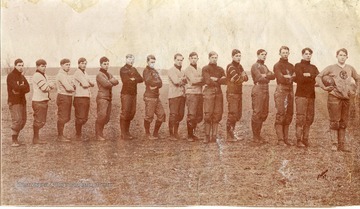 Greenbrier Military School Football Team, Lewisburg, W. Va.
Greenbrier Military School Football Team, Lewisburg, W. Va.
Members of the Football Team of the Greenbrier Military School in Lewisburg, West Virginia. 7. 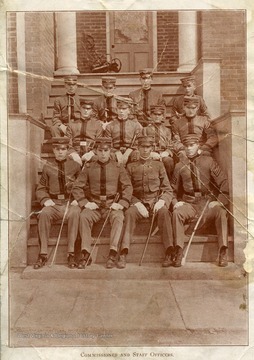 Cadets, Greenbrier Military School, Lewisburg, W. Va.
Cadets, Greenbrier Military School, Lewisburg, W. Va. Commissioned and Staff Officers of the Greenbrier Military School in Lewisburg, West Virginia. 8. 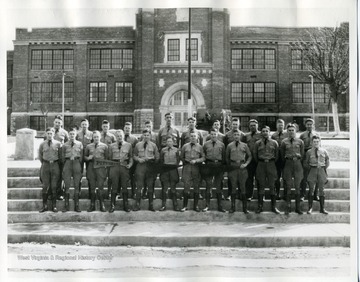 ROTC, Greenbrier Military School, Lewisburg, W. Va.
ROTC, Greenbrier Military School, Lewisburg, W. Va.
ROTC members of the Greenbrier Military School in Lewisburg, West Virginia. 9. 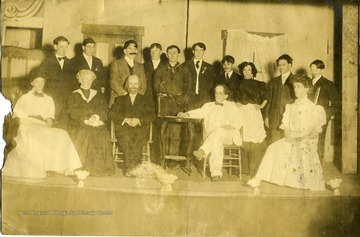 Cast Members of a Play at Greenbrier Military School, Lewisburg, W. Va. 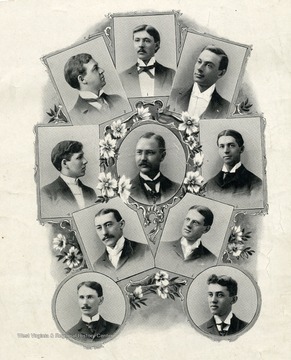 Cast Members of a Play at Greenbrier Military School, Lewisburg, W. Va. Cast members of an unidentified play are shown. 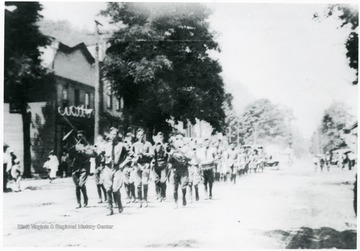 The cast members are students at the Greenbrier Military School in Lewisburg, West Virginia. 10. Group Portrait of Students in Front of Greenbrier Military School, Greenbrier County, W. Va.
Group Portrait of Students in Front of Greenbrier Military School, Greenbrier County, W. Va.
11. 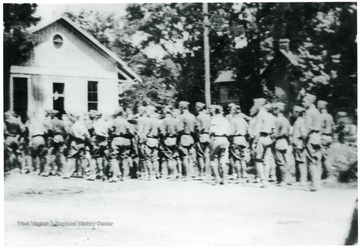 Greenbrier Military School Students, Greenbrier County, W. Va.
Greenbrier Military School Students, Greenbrier County, W. Va.
12. 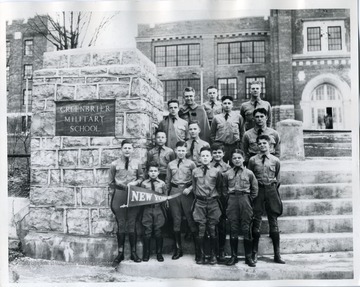 Group Portrait of Students in Front of Greenbrier Military School, Greenbrier County, W. Va.